Phoenix Art Museum holds a collection of over 4,500 American and European garments, shoes and accessories and hosts four fashion-related exhibitions every year. The exhibition Fashion Independent: The original Style of Ann Bonfoey Taylor opened February 27th and celebrates the style of this unique women through sixty full ensembles from her couture and costume-designed sporting outfits collection that was donated to the museum in 2008. Ann Bonfoey Taylor (1910-2007) in Ski outfit, Phoenix Art Museum. Ann Bonfoey Taylor, who passed away in 2007, was among the first women to earn a pilot’s licence and served the US Air Force during World War II as a flight instructor. She was also a member of the US Women’s Olympic Ski team in 1939, she played Tennis at Wimbledon and was a champion shot and equestrienne. In addition to her remarkable activities and achievements she was also a lively hostess and a style icon captured by leading photographers such as Edward Steichen, Louise Dahl-Wolfe and Toni Frissel. 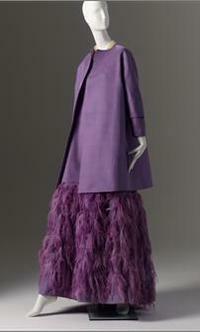 The exhibition includes examples from designers such as Charles James, Cristobal Balenciaga, Hubert de Givenchy and Madame Gres, and outfits she designed herself for her sporting activities to fit both her fashionable and functional needs. 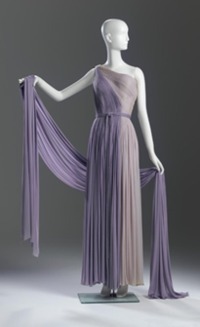 Another fashion-related exhibition will open at the Phoenix Art Museum March 12th will feature three original scenes from the famous Théâtre de la Mode, on loan from the Maryhill Museum of Art in Goldendale, Washington. 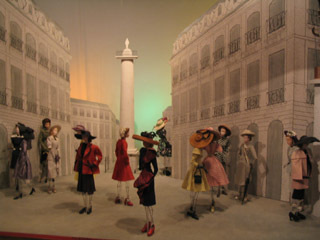 A scene from Théâtre de la Mode, Maryhill Museum of Art. This traveling miniature mannequins exhibition, launched in Paris in 1945, showcased the work of Parisian couturiers, milliners, jewelers, hairdressers and theater designers in hope to restore Paris’s fashion industry after World War II. The exhibition traveled in European cities, arrived in the United States in 1946 and was finally acquired by the Maryhill Museum of Art in 1952, where it is now permanently housed. 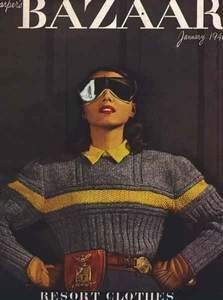 This entry was posted in Exhibition and tagged Ann Bonfoey Taylor, Charles James, Cristobal Balenciaga, Edward Steichen, Hubert de Givenchy, Louise Dahl-Wolf, Madame Gres, Maryhill Museum of Art, Phoenix Art Museum, Théâtre de la Mode, Toni Frissel. Bookmark the permalink.